The crisis surrounding the Aquarius migrant rescue ship, where Euronews' Anelise Borges was the only broadcast correspondent on board, triggered a political debate around the European Union that has defined the EU Summit agenda. "We really are at an inflection point in Europe's history so it is very important," Politico's Political Editor, Ryan Heath told euronews' Good Morning Europe programme. "What we've got now is a strong group of populist angry governments; we've seen them in their ones or their twos before not in the handfuls, so it's going to be a very different dynamic around the summit table. When you have a very big country like Italy that is helping to drive the agenda and possibly, most importantly, this is a very tough summit for Angela Merkel. 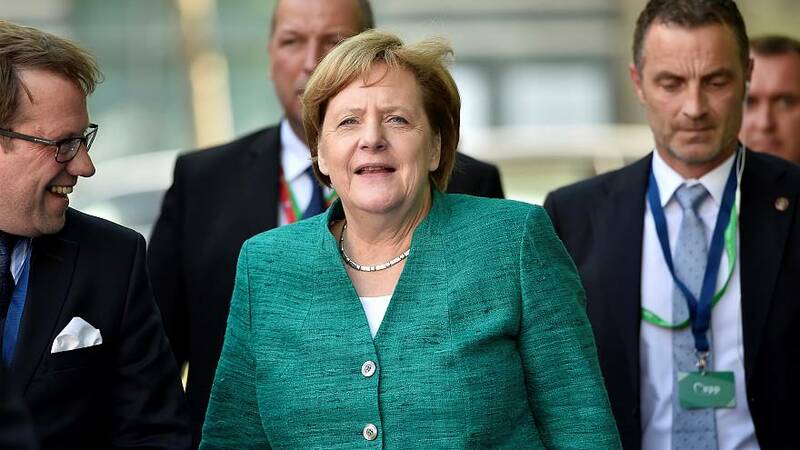 If she doesn't show she has got some new bi-lateral agreements or a Europe-wide agreement on how she can reduce the numbers of migrants arriving in Germany, potentially her days as chancellor are numbered. Everyone thinks we are now at the endgame of Angela Merkel's chancellory and so that is going to bring a whole new dynamic to Europe for the long term if we do see her booted out between this summit and the next one." There was widespread outrage when the Aquarius was refused permission to dock in Italy, but the fact is that Europe is far from united on the issue.